Now this is what I call a fun-tastic read. Kartik Iyengar chronicles his “journey” all the way to Ladakh – Chief Redbull, Goose Goldsmith and Derek Demonia in an SUV called ‘Motormouth’ jot their passion in overcoming problems during their adventure; write about subjects that need delicate handling wrapped with humor; share their experience of meeting new people and exploring new places; capture the essence of their “journey” to finally bringing meaning to life – a remarkable achievement in my eyes! The book is hilarious. It has anecdotes from the journey; snippets of randomness that end up instigating brain waves to ponder on the reality around us; and the foreword by The Dalai Lama himself. The writing is lucid, raw and pertinent. Ample of humor, wit, nutty takes whilst on the journey, but great insight about things we turn a blind eye to. Describing the difficulties in proceeding with the journey, yet not deterred to stop mid-way shows great persistence and will power. Covering the states of Karnataka, Maharashtra, Goa, Guarat, Rajasthan, Delhi, Uttaranchal, Punjab, J&K and Himachal Pradesh and the memories binding the adventure make for a great read. Talk about urban Indians and their sense of responsibility. I bought 2 copies and gifted one to a f(r)iend. I hope he writes the review soon. I urge you to go ahead, pick this up and release your mind of the mundane chores. And yeah, do your bit of charity, beginning right here. 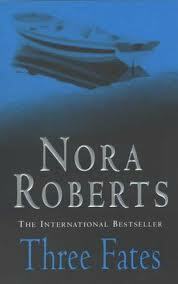 I’d have to say that this is amongst the finest suspense-thriller-romance-humor work of Nora Roberts. Not to forget “girl power”. The story highlights the life and adventures of the female heroines (of course) in quest of bringing back their family heirloom. When Lusitania was sinking, after being attacked by a German torpedo, a small time thief – Felix Greenfield was stealing one of the Three Fates statues from the cabin of a certain Henry W. Wyley. When Felix realizes he is in danger of going down with the town, he pockets his loot and escapes. On being rescued, he settles in Ireland; raises a family; and mends his way to become a better man. Now Felix’s descendants, the three siblings – Malachi, Gideon, and Rebecca Sullivan possess the heirloom. They decide to acquire the other two statues to complete the triad before selling the Three Fates for a good fortune. But as fate has it, Anita Waye, a black widow, seduces Malachi – sleeps with him and runs away with the statue. The Sullivans wow to get it back and so begins their quest. Traveling from Ireland to Helsinki, Prague, and New York they meet many a people, some who help them – while some who pledge to do anything to obtain the Three Fates, esp. the greedy, scheming Anita. The trio sticks together to avoid getting killed before they can accomplish their mission. But how they do it and what all they undergo is what you have to read. Fans of Nora Roberts are sure to love this fast-paced adventurous romantic thriller. 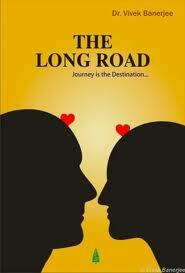 The characters have been etched to perfection and the plot is gripping. The dialogues are lively and memorable. You might feel the whole talk about fate and free will is stretched a bit too much but I feel it is readable. This tale of luck, love, fate, suspense, legend, destiny, and a whole gamut of thrill is sure to impress you. This one is a winner all the way! The Defector looks like Silva’s best and strongest work in the action/adventure genre. Gabriel Allon – a tough (yet sympathetic) art restorer and preeminent Israeli secret agent, is sent on a secret mission – to get back a man he previously rescued, who is now kidnapped by a Russian arms dealer. First time readers of Silva’s work will have no trouble catching up with the plot as there is enough background detail to illustrate the real motive of the actions of all the characters and the plot. The author’s impeccable writing skills bring in a horde of suspense and thrill and unending excitement with splendid twists, keeping the pace of this multi-continent mission sleek and fast. The rich content and quality of the otherwise stereotypical Russian military show a new flavor of his writing and ideation. Tension builds with every word. The plot is captivating and definitely thrilling. 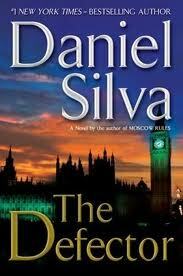 Apt descriptions and believable plots/situations/characters make it a quick read for all of Silva’s fans. His brilliance in portraying emotions, motivation and appeal are simply aweinspiring. The compelling political backgrounds; the complex yet charismatic character of Allon; the appealing characters; the links and revelation of plots – sometimes seem predictable but they still seem better off than many other thrillers provided by other authors. 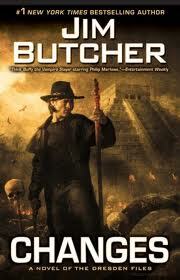 By far the best work of Jim Butcher, Changes highlights Harry Dresden’s character with a variety of hues that were never seen before. 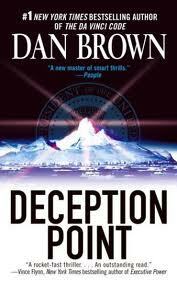 Harry Dresden is a wizard who lives and works as a detective in Chicago, Illinois. The story begins with Dresden receiving a call from his ex-love – Susan informing him that he is the father of a daughter who is now kidnapped. There begins the perfect blend of urban fantasy and adventure as a father begins one of his most challenging missions – retrieval of his daughter from the clutches of the Red Court vampires. With touches of sarcasm and humor (Dresden style), the story with its umpteen gripping twists and astounding climax behold the reader until the very last page. Be it the vampire centric stories full of assassins or the exhilarating supernatural and mystical theme, danger lurks on every page. The dramatization and descriptions look absolutely real and believable, with some totally acceptable exaggerated action, making it MUST read.